Также необходимо упомянуть радиоуправляемый самолет-мишень DH.82B Queen Bee, представлявший собой упрощенную цельнодеревянную версию Tiger Moth. Он имел фюзеляж от Moth Major, крылья от Tiger Moth, мотор Gipsy Major, электрогенератор с приводом от крыльчатки и бензобак большой емкости. 5 января 1935 года прототип облетали с ручным управлением, затем собрали 380 машин для обучения пилотов-истребителей, зенитчиков и воздушных стрелков. 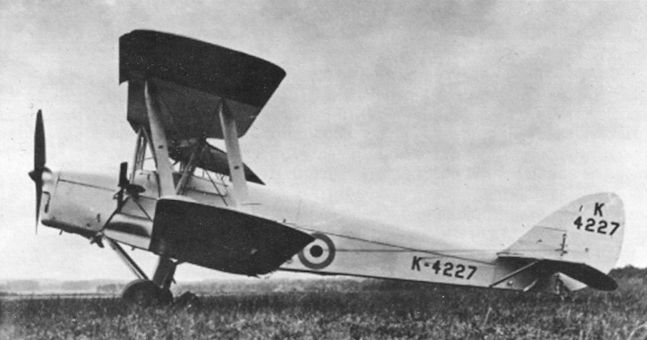 The D.H. "Queen Bee" Wireless-controlled Target Aeroplane (130 h.p. D.H. "Gipsy-Major" engine). 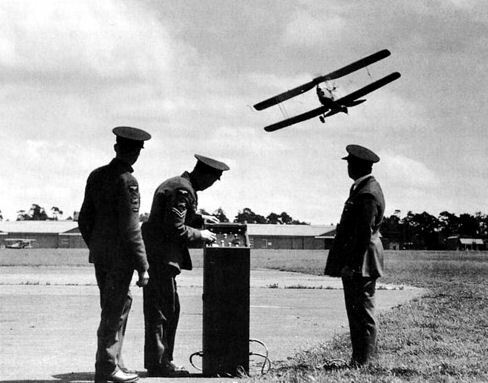 MORE THAN MEETS THE EYE: This innocent-looking D.H. "Tiger Moth" is actually the wireless-controlled target machine, designated the "Queen Bee," the existence of which was kept an official "secret" until a few days ago. 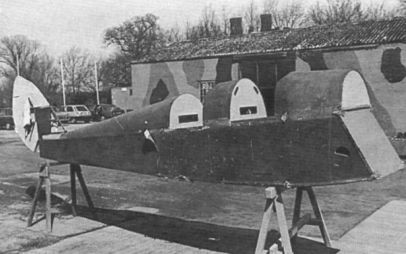 Note the connection at the side of the fuselage for catapult work. Беспилотный самолет-мишень DH.82B «Куин Би». Обе кабины на этом Queen Bee снабжены обтекателями. За двигателем виден ветроэлектрический генератор. de Havilland D.H.82B Queen Bee. Офицеры британских ВВС у пульта управления авиамишенью во время учебной тренировки с Queen Bee в военное время. Camouflaged Queen Bee L5894 is prepared for catapult launch - apparently at RAE Farnborough - in the presence of the Prime Minister, Winston Churchill. 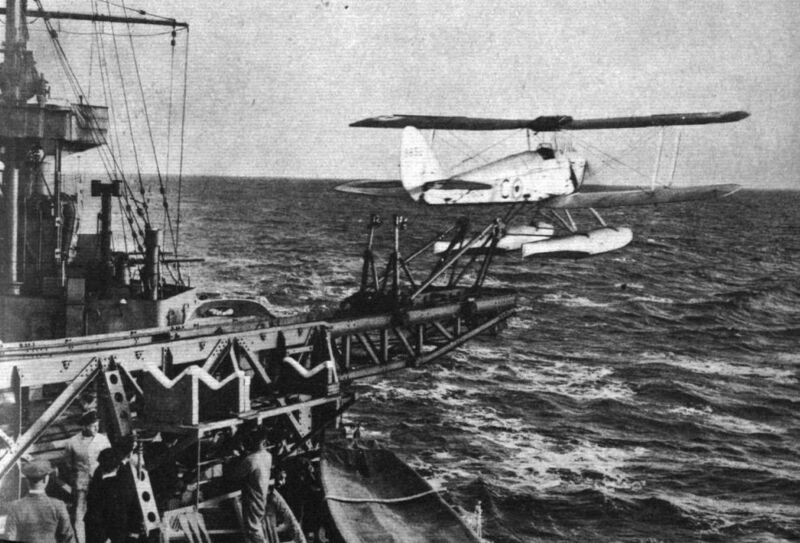 Mechanisation: A De Havilland Queen Bee wireless-controlled target aeroplane is catapulted, pilotless, from H.M.S. Neptune. GOOD HUNTING: Anti-aircraft gunners gave the lie to those who say that they will have only a moral effect on air raiders, when the 171st Battery, 61st A.A. Brigade R.A., Territorial Army, formerly known as the Finsbury Rifles, shot down a Queen Bee at their camp at Watchet, Somerset, on August 13. The Queen Bee, developed from the Tiger Moth, is a target aeroplane, controlled by wireless. They were intended for use by the Fleet, but this year they have been supplied for use by the Army too. As shown in these exclusive photographs, this one was catapulted into the air and she rose to 4,000 feet over the Bristol Channel. She was about a mile off when two A.A. guns opened fire, and the third volley hit her behind the engine. At first it was feared that she might crash on to the Battery, but she came down in the sea. The Gipsy Major engine broke loose and sank, but the fuselage and portions of the wings were salvaged. FLOTATION CURIOSITIES. Maps out! In October 1957 Vern Reid flew his white and green de Havilland Queen Bee-conversion from Sandy Bay, Tasmania, to Maria Island in order to deliver an urgently-needed two-way radio for the islanders. Mr. Reid carried out the tandem-seat conversion (to Tiger Moth standard) at Sandy Bay. 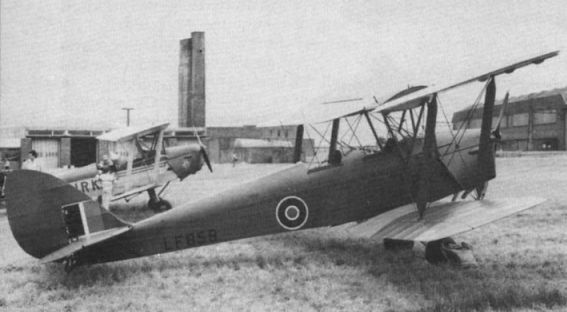 Note the ex-C.A.6 Wackett trainer canopy. NAVY FASHION. In July "Photo Review" was published a photograph of a recent de Havilland Queen Bee conversion to Tiger Moth standard. That this is no new event is proved by the accompanying photograph of an ex-radio control gunnery target Royal Navy Queen Bee (P4709) which was converted to Tiger Moth dual-control standard at the R.N. Aircraft Repair Yard, Fay id, Canal Zone, in the summer of 1945. Painted bright royal blue with yellow serials it was used for communications and training by its "owner", Lt. (A) Peter W. Brooks, R.N.V.R., until February 1946. The de Havilland Queen Bee fuselage seen at the Mosquito Aircraft Museum on April 13 1986 will form the basis for a restoration project.